Wow! 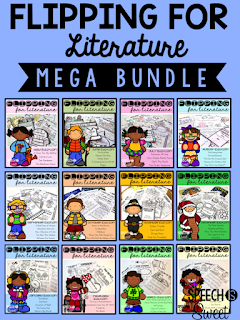 Can you believe it’s already time to talk about November’s Flipping for Literature packet?! This year is truly going by so fast! Let’s take a peek at my book recommendations for November! I just love Doreen Cronin’s farm books! This one features Duck (the real star of Click, Clack, Moo! haha) and he’s fed up with his barnyard chores! He’s tired of mowing the lawn, grinding coffee beans, and taking out the trash! 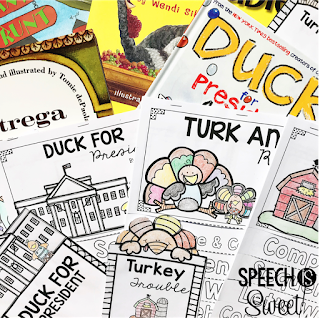 Duck decides to overthrow Farmer Brown and organizes an election! He wins by a landslide, but quickly learns that leading a farm is very hard work – so he decides to run for governor instead! haha… He works his way up right to the White House only to discover that being President is very hard work too! What’s a duck to do? 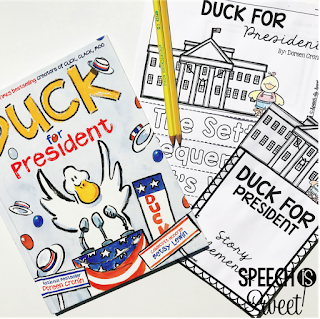 This is a fun book to read during election time! 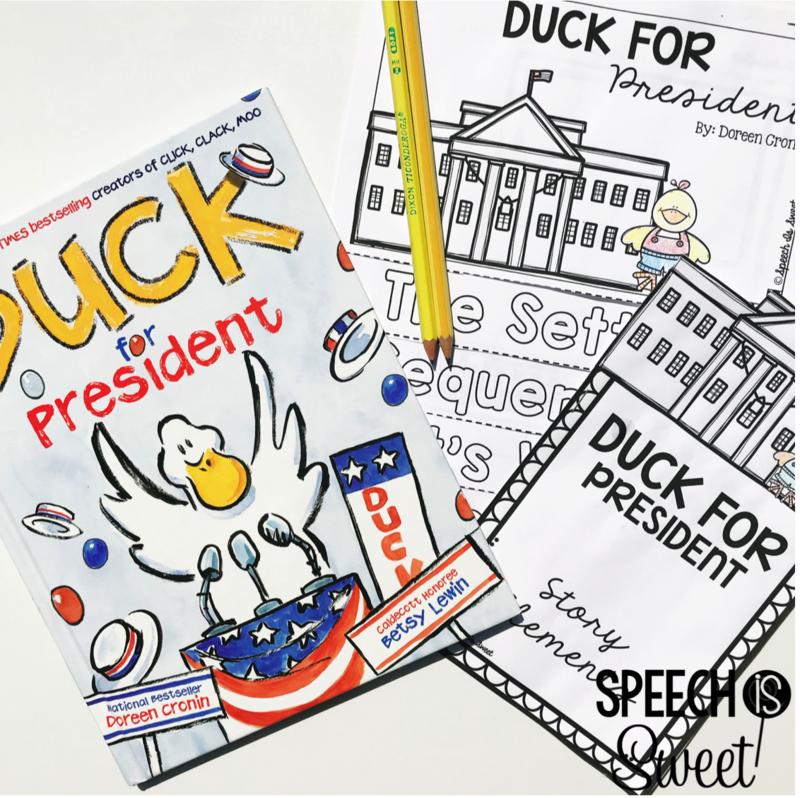 You can use it to compare/contrast governors and presidents. It’s also a great book to talk about the varying levels of government! 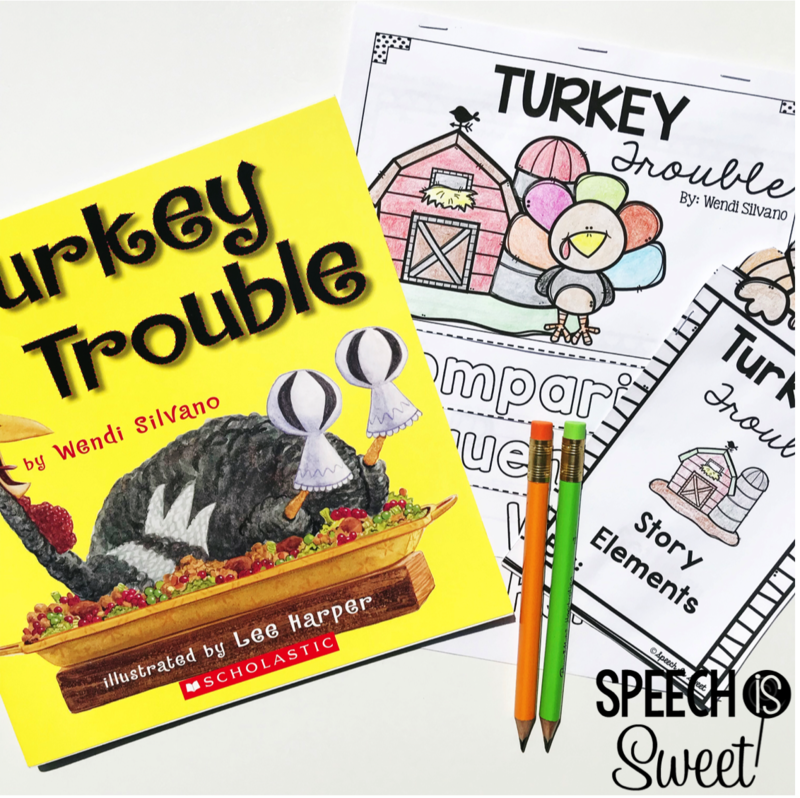 This is my favorite turkey themed book! 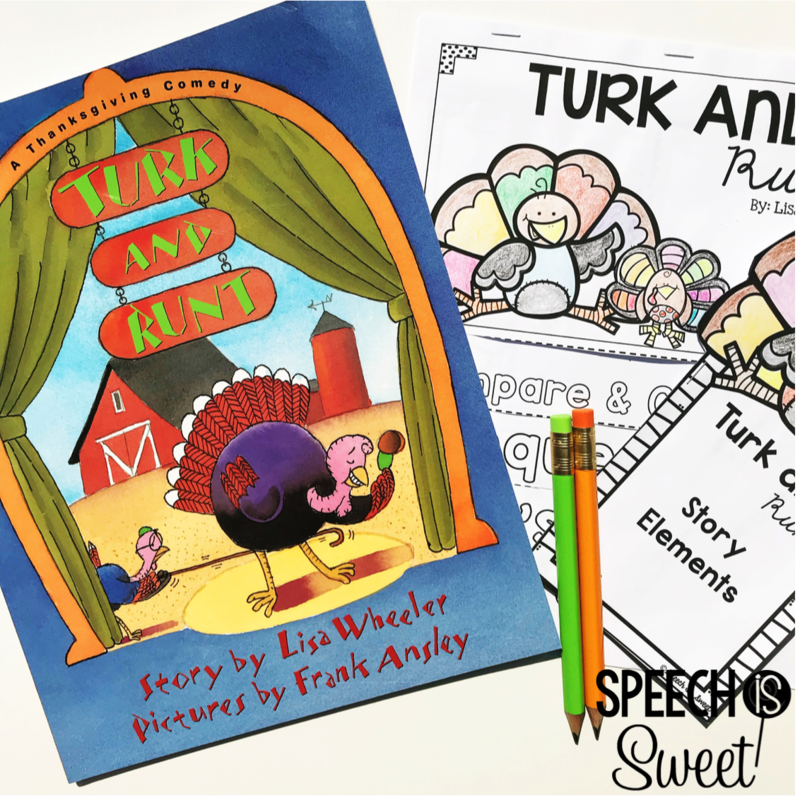 Turk is the biggest and strongest turkey on the farm and his parents are constantly fawning over him! They know that each November, visitors come from far and wide to select a turkey from Wishbone’s farm. His parents believe this is a prestigious honor (maybe he’s getting selected to play football), but his younger brother, Runt, knows better! Each time someone goes to select Turk, his brother Runt acts crazy and sabotages it! Eventually, his family realizes that he’s just trying to save Turk from getting cooked! It’s such an adorable story! 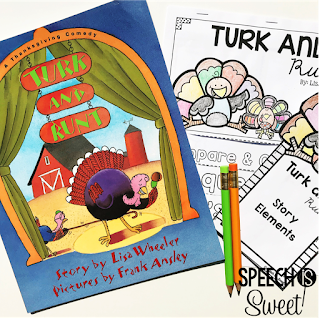 This book can be used to compare/contrast (Turk and Runt), to work on sequencing, describing, and much more! 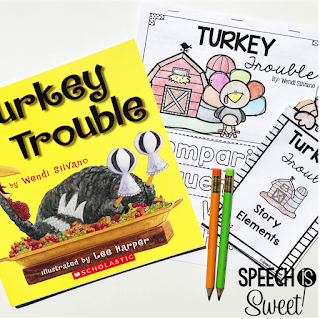 I adore the Turkey series! Turkey is in major trouble – Farmer Jake wants to cook him for Thanksgiving dinner! He disguises himself as various barn animals in hopes that he won’t be recognized. He finds the perfect solution by the end of the story – he orders Farmer Jake’s family pizza! This is such a cute story! It’s great for working on problem solving, sequencing, describing, comparing/contrasting, and more! I love Strega Nona and Big Anthony! They’re two of my favorite characters! 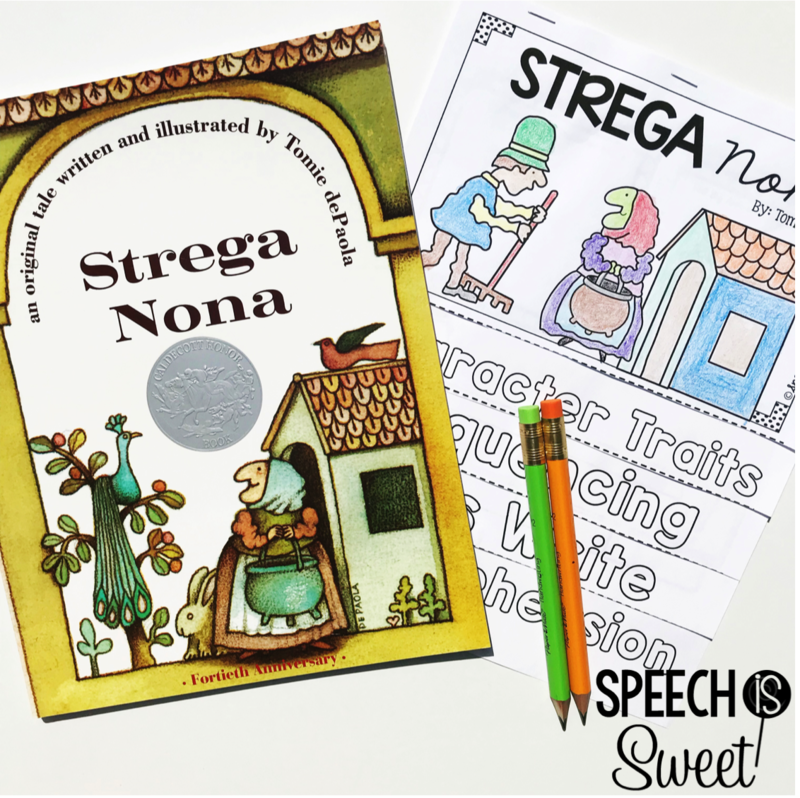 Big Anthony starts working for Strega Nona and he overhears her chanting a spell with her magical pot! He tells the townspeople and they don’t believe him! When she goes out of town, Big Anthony performs the spell himself and accidentally floods the town with pasta! The townspeople are angry and want to punish Big Anthony. Of course, Strega Nona saves the day and suggests that Big Anthony should have to eat all of the pasta himself. haha! This is a great book to read year round! 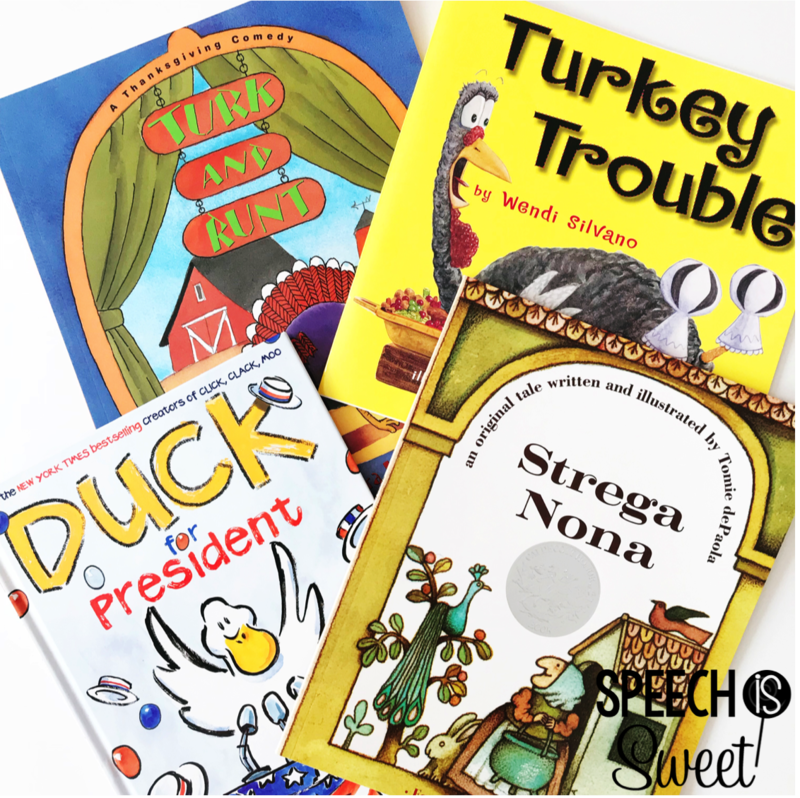 It’s also a great book to use if you can’t read a traditional Thanksgiving story in your classroom, because Big Anthony has a pasta feast! 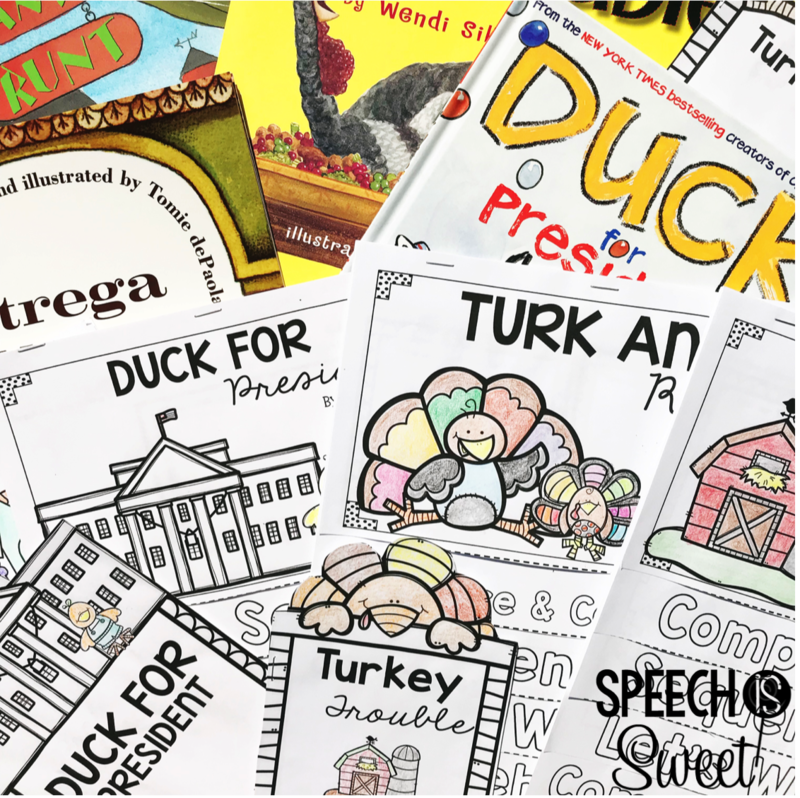 Literature Flip Books are a fun and interactive way to practice a variety of language skills – such as sequencing, comparing/contrasting, and comprehension! These companions also come with mini booklets that target story elements, retelling, and more! These flip books also come in a year long bundle! 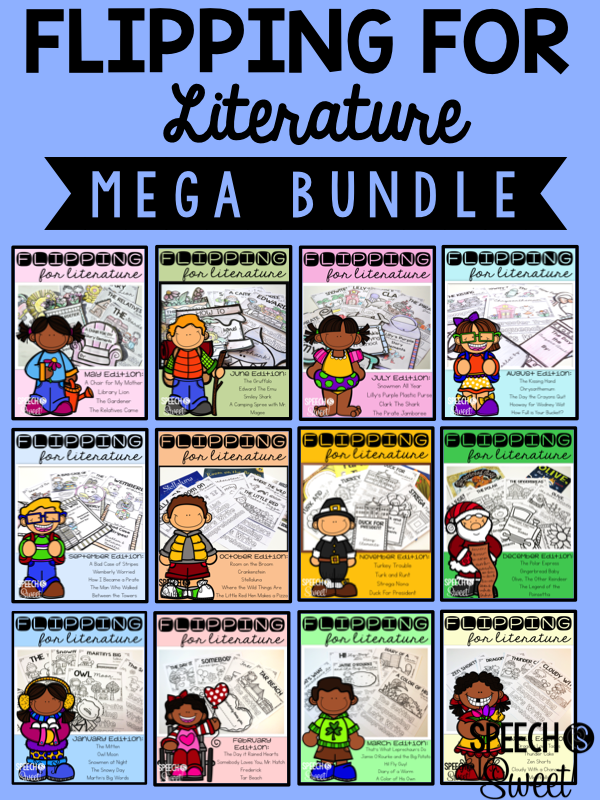 It’s 50% off and a great way to collect all 52 literature flip books and booklets! These were a big hit with my students and hundreds of teachers & SLPs have told me how much their students enjoy them! A few teachers even use them as Friday “treats,” which is such an adorable idea!